Rebalance and detoxify skin in one intense 10 minute treatment. 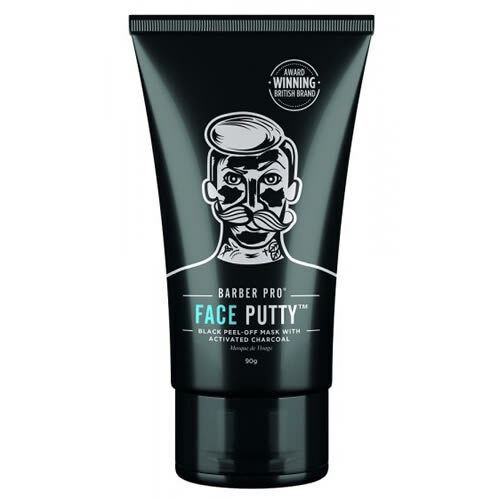 Barber Pro Face Putty Mask boasts a tremendous dose of TLC for the face, targeting blackheads and acne, but also cleansing deep into pores to remove impurities. It repairs skin damage and brightens the complexion while also clarifying and purifying the skin and rebalancing oily areas. Further, it boosts skin firmness and exfoliates dead skin cells. 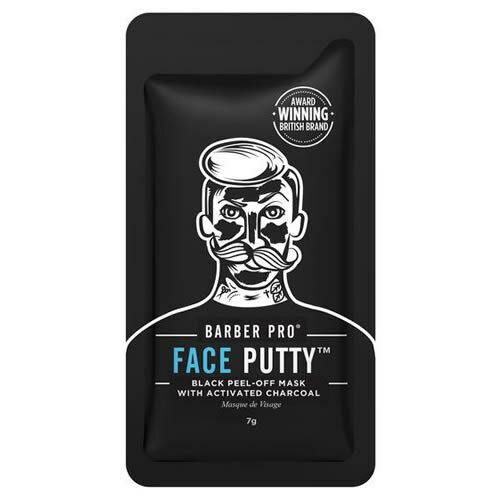 Using key ingredients like Activated Charcoal, Deep Sea Water, Extracts of Grapefruit, Lavender, Strawberry Ginkgo Biloba Leaf, Orange, Green Tea, Tea Tree and Lemon, the Peel Off Mask loosens blackheads and increases hydration. There are no animal ingredients or testing on this product and it's also free of Mineral Oils, Lanolin, Petroleum and Parabens. 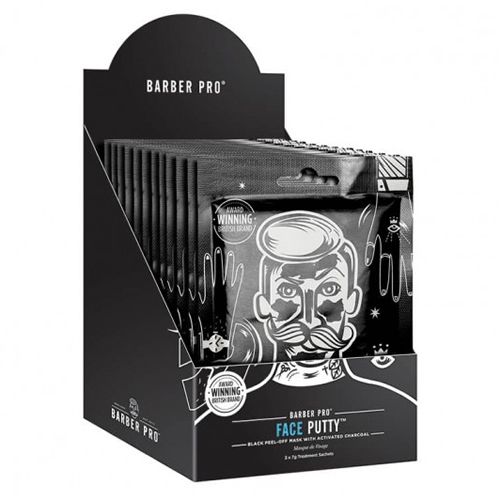 Comes in a 7-g sachet, 90-g tube or a pack of 12 sachets.